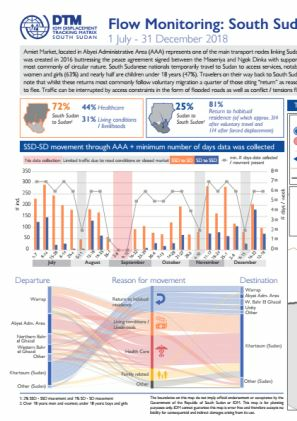 Amiet Market, located in Abyei Administrative Area (AAA) represents one of the main transport nodes linking Sudan (SD) and South Sudan (SSD). 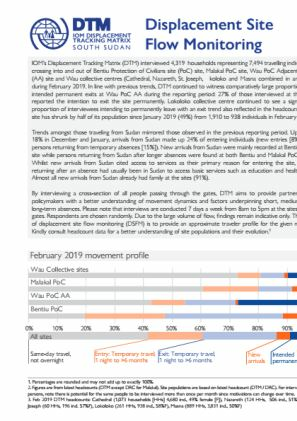 The inter-communal market was created in 2016 buttressing the peace agreement signed between the Misseriya and Ngok Dinka with support from the United Nations. Migration through the market is most commonly of circular nature. 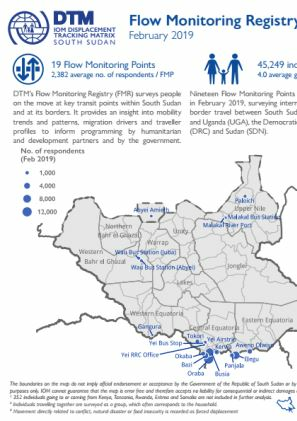 South Sudanese nationals temporarily travel to Sudan to access services, notably healthcare (44%). 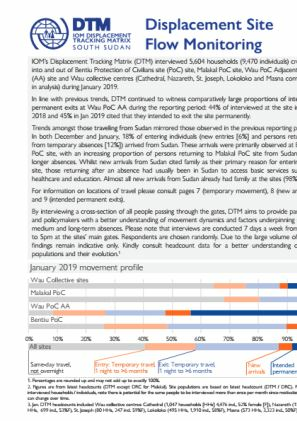 Travelers to Sudan are overwhelmingly women and girls (63%) and nearly half are children under 18 years (47%). 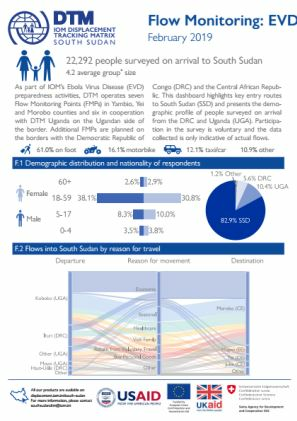 Travelers on their way back to South Sudan represent only a quarter of interviewed individuals.